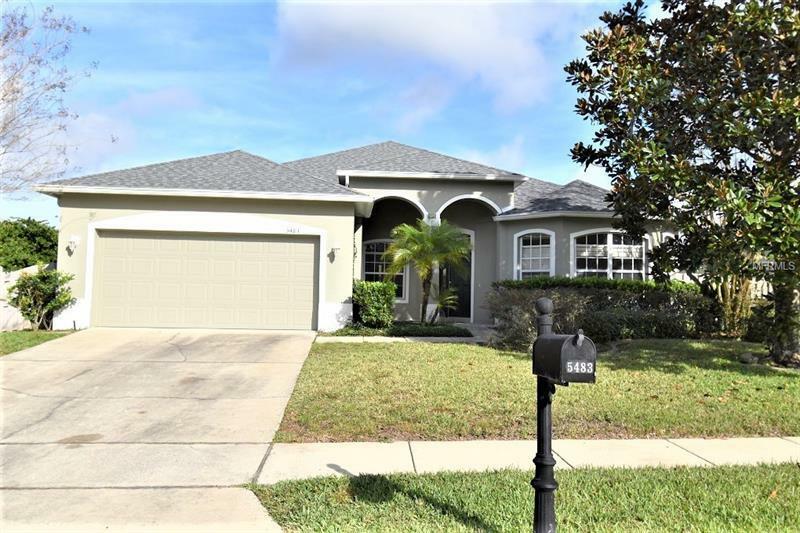 Welcome Home....Beautiful home in gated community, open design with high ceilings, light and bright. Enter thru the spacious tile foyer with arched entries into the formal living and dining rooms situated left and right. Study/ Den room could be a 5th bedroom. Walk straight ahead into the huge family room open to the kitchen with a breakfast bar and breakfast room. kitchen and family rooms open through a wall of sliding glass doors to the breezy covered porch. Kitchen has super design with dramatic 42 inch wood upper cabinets and tall ceilings to provide areas above cabinets to display art and your favorite dÃ©cor. Center island in kitchen for entertaining and additional counter space, closet pantry, utility closet. Kitchen open to large breakfast room with built in desk and cabinetry. Inside laundry conveniently located between kitchen and garage. Master suite cozy and open . . Excellent location close to all major highways for easy to access . Beautiful and move in ready. Make appointment to see this property before it goes.... Sellers firm on the Listing price.